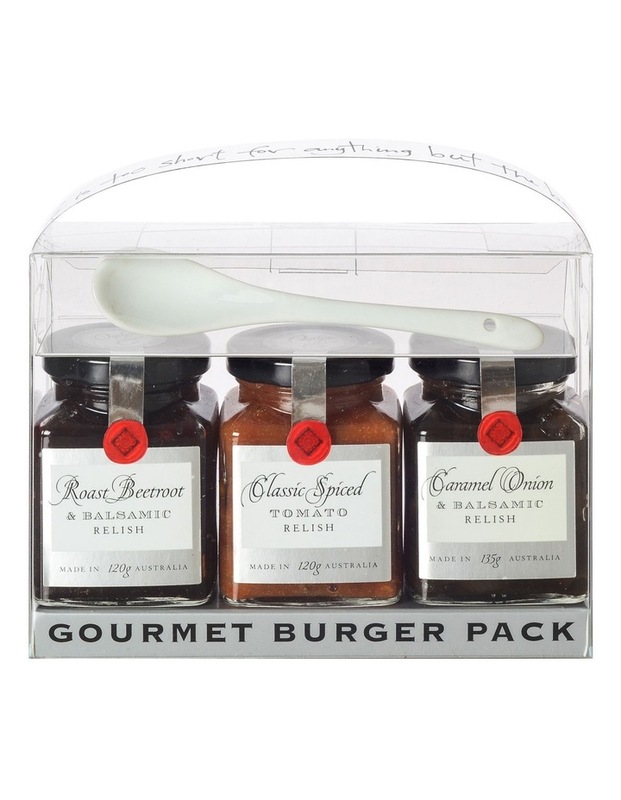 The Gourmet Burger Trio Pack from Ogilvie & Co is a carry home gift pack featuring three gourmet relishes. Pack contains: Caramel Onion & Balsamic Relish 135g, Classic Spiced Tomato Relish 120g and Roasted Beetroot & Balsamic Relish 120g. These condiments are gluten free and will help lift the humble hamburger to new heights.